GIANT! 11 feet across, 5 1/2 feet tall. 3 windows & 1 door with screens and zippers–like a real tent! 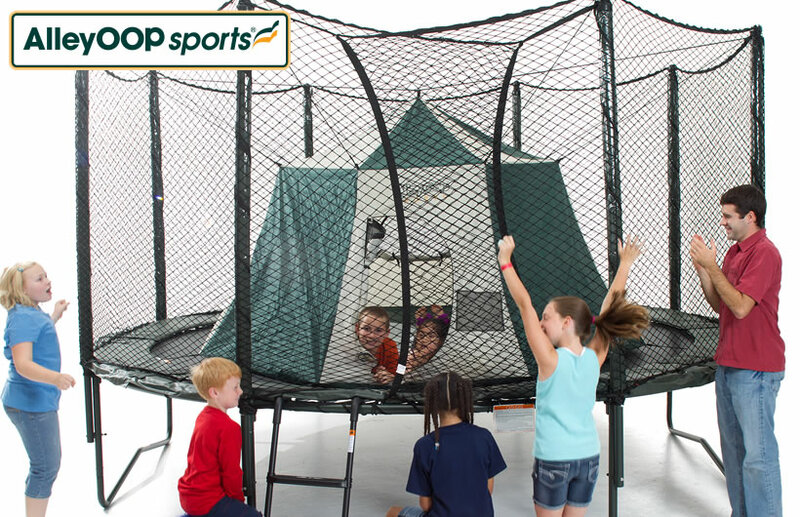 Fits ONLY 12′ – 14′ Trampolines –intended to work with JumpSport or AlleyOOP Trampoline Safety Enclosure Net.